The International Conference on Quality and Dependability – CCF is a well established brand of excellence among the international scientific meetings in the interdisciplinary field of quality and dependability (reliability, maintainability, safety & security). It is interesting to mention that the CCF conference was listed as the 3rd longest running conference in the quality and dependability field in the international specialized assessments. The International Conferences on Quality and Dependability – CCF conferences have a long tradition among the specialists of the field. The primary objective of the International Conference on Quality and Dependability – CCF is to provide an international forum for the dissemination of recent information and scientific results in these modern domains. 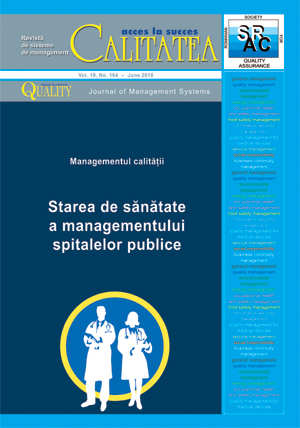 The International Conference on Quality and Dependability – CCF is organised by the Romanian Society for Quality Assurance (SRAC), under the aegis of several important international organisations in the field. We are proud to mention that this edition of the conference has the scientific endorsement of the Institute of Electrical and Electronics Engineers – IEEE (Romanian section), the world’s leading professional association for the advancement of technology.